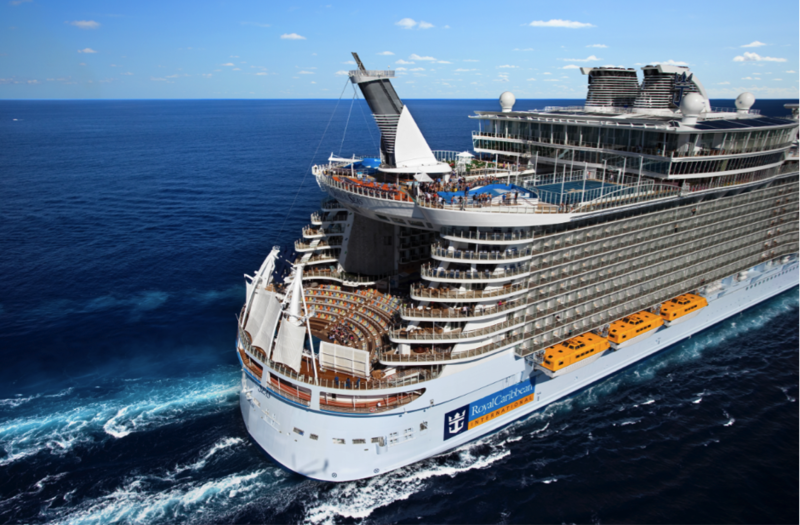 Every day brings a world of new experiences to discover on board a Royal Caribbean ship. Play a round of golf in the middle of the gulf. ice-skate around a sun-drenched Caribbean island or surf the perfect wave as you sail into Puerto Rico. Experience the thrill at the on board surf park! This is just one of the unique and innovative on board features to enjoy. Have fun together on our full sized sports court with a game of basketball or volleyball. Show off your moves at the ice-skating rink or on the in-line skating track, then practise your swing on the miniature golf course. Test yourself by scaling the rock-climbing wall, or just sit back and enjoy the ocean views from the solarium’s amazing cantilevered whirlpools, which extend out a breath-taking 12 feet from the side of the ship. 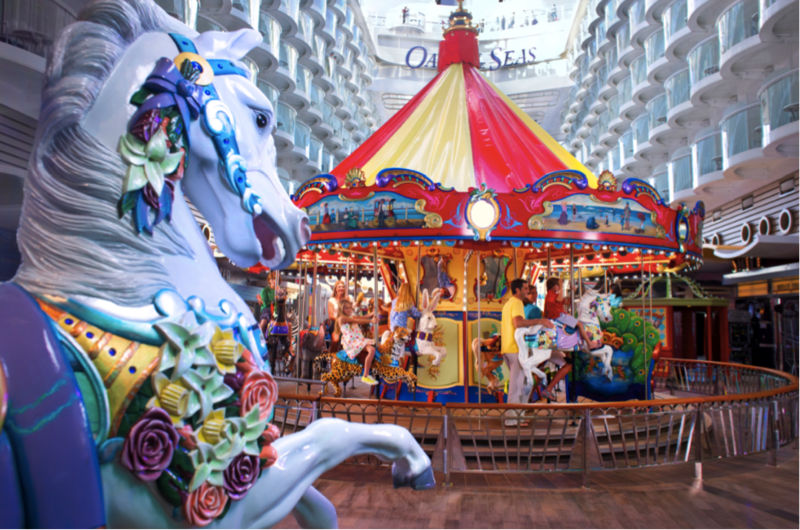 Fly along the Zip Line suspended high above the Boardwalk or take a ride on the world’s first on board carousel aboard the innovative Oasis of the Seas and Allure of the Seas, our newest and most incredible ships. Whichever ship you choose there’s always plenty to experience and enjoy! Great food is an important part of any holiday, and at Royal Caribbean it’s something they pay the utmost attention to. 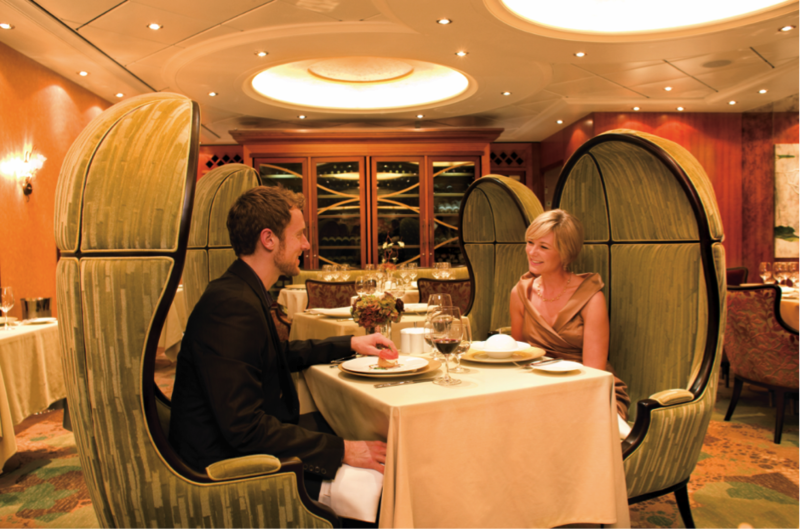 That’s why everything on board, from a grand formal dinner to a traditional hamburger, is of the very highest quality. Choose from an elegant Main Dining Room with its attentive service and flexible dining options, Speciality Restaurants offering a range of different culinary experiences, or relaxed cafés and restaurants – perfect for families.